Longfellow, the new collection by Whistler Studios, offers you a chance to create something truly unique. 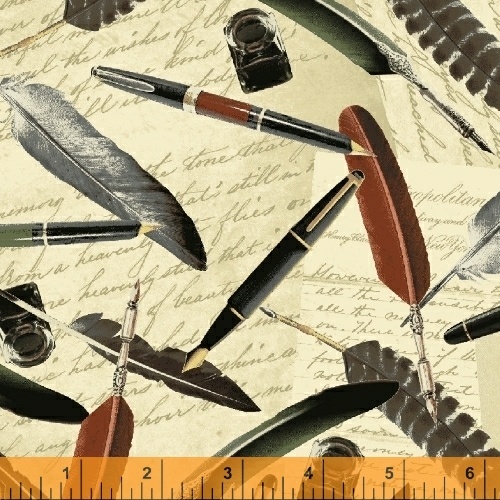 Comprised of very handsome patterns featuring pocket watches, quills and antique postage stamp prints, this fabric is perfect for any vintage themed project. 14 SKUs - Delivery to Stores February 2016.